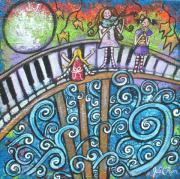 Welcome to the world of whimsical art! Here are some favorite whimsical artists from around the country and world. Their whimsical artwork will hopefully incite your imagination and inspire your creativity. What is a whimsical artist? Explore and see for yourself what these whimsical artists have to offer with their whimsical art. NC Whimsical Artist Scott Plaster is from the North Carolina Piedmont Triad area and has been creating whimsical paintings for 30 years. His line of "Whimsical Animals" has been featured in the Community Arts Cafe and the GoTriad NC artists section and is available for sale in art galleries, art boutiques, and shops around the NC Triad region, and from the Mountains of North Carolina all the way to the Coast. Matted ready-to-frame art repro­ductions of the original whimsical oil paintings are sold in various sizes, art note card sets, art greeting cards, art posters, and even stickers. Plaster's animal menagerie includes "Mystic Tiger," "Cosmic Cow," "Neon Duck," "Psychic Gib­bon," "Shaggy Sheep," alley cat "Miami Lewie," house cat "Cry Baby," "Pelican Peek­ing," "Crab in Space," an alligator in "Crooked Smile," and "Running Rooster." His latest works include "A Series of Four Beetles," "A Collection of Flies," and "Daytona Five." Plaster also co-founded and leads an area NC artists organization, the Cosmic Cow Society, which promotes artists in the Triad region of North Carolina. Website: Check out Whimsical Artist Scott Plaster's Website. Q: What is whimsical art? 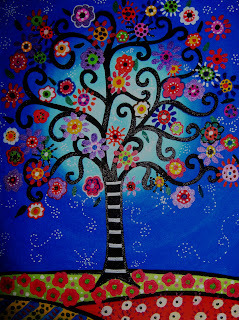 A: Whimsical art is artwork created in a style that is unique, out-of-the-ordinary, or fanciful. Whimsical artwork might be characterized by its color, design, line, or subject matter. Whimsical paintings are usually bright and colorful, and their subject matter is sometimes humerous. Q: What makes someone a whimsical artist? A: Many artists identify with being called "whimsical" because of their philosophy. They want to create images that are playful, cheerful, and carefree. Whimsical artists often want to make the viewer smile or laugh, or look at the world around them in a different way. What is a whimsical artist? You decide! After a career in finance, whimsical artist Clara Nilles quit the corporate world to pursue her lifelong dream of being an artist. Now she lives by the slogan of "Passion...Creativity...Dream." Primarily self taught, Nilles has been drawing and painting since she can remember. 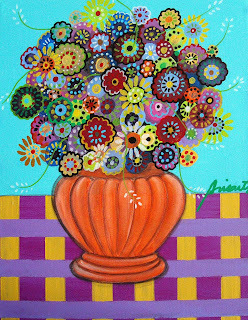 Her long-standing medium of choice has been acrylic and pastels, because of their extensive layering capabilities and intense vivid colors. Most of her paintings employ many layers in brilliant pure color. She believes color is the universal language that brings a positive energy to people and communicates strong emotions and mood. She also thinks that animals bring out the goodness and feelings of being with the earth. It’s a combination that has timeless appeal for children and adults alike. 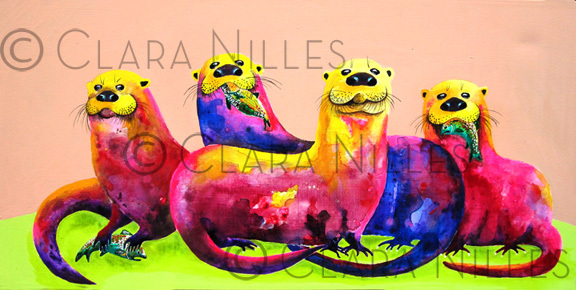 In her whimsical paintings, Nilles strives to capture the engaging look or the lively spirit of the animal ... something that we often overlook. She wants people to feel positive, charmed, and connected, when viewing her works. 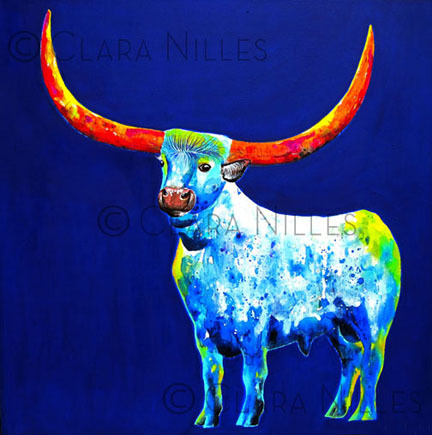 Website: Learn more about Clara Nilles. In addition to her personal art site below, she also has a great whimsical venture at Art is Fun. Website: Learn more about Whimsical Artist Thaneeya McArdle. 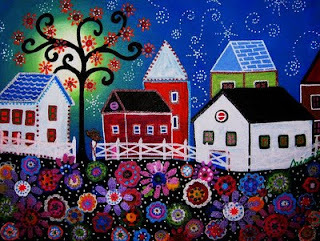 Whimsical artist Pristine Turkus calls herself a "a modern Folk Artist." She loves scribbling, painting scenes that catch her eye and ideas/memories that move her. Her paintings of folk art angels, mermaids, seascapes, flora and fauna, and musical instruments are colorful, fun, and captivating. Turkus is a self-taught artist living in Huntington Beach, California and also an Interior Designer. 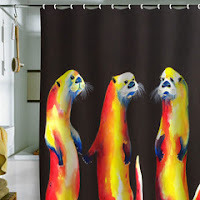 She began using her artwork as accessories for her client's houses, stores and offices. When she started posting her work online a few years ago, she gained an audience of admirers and buyers around the country and even world. 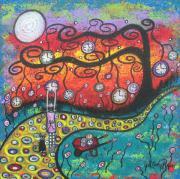 Her artwork is done in mixed media (oil, acrylic and ink) and she likes using joyful, whimsical colors. She says, "the most common comment I hear regarding my work is that my artwork just makes people smile." Turkus is often solicited for commissions and has sold her art all over the world. 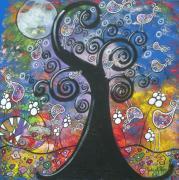 Website: Learn more about and buy art from Whimsical Artist Pristine Turkus. 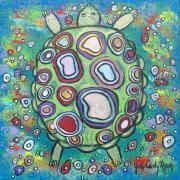 Whimsical artist Juli Cady Ray's whimsical art work inspires us to view the world in a unique, whimsical way! Website: Learn more about Whimsical Artist July Cady Ray. Wild life erupts from the crevices cracking open the planes between the daily and the unexpectable. Its rules are simple: Eat, rest, and the other thing. Wild life paints its offspring with revealing masks to attract congenial company, and repel the hungry, and stun its food before it eats. Where do you fit in, in our concrete hives, our wooden termite colonies, our iron leaves that raft us across the waters? Everyone is many people and some of us are brightly tinted critters who converse, unmindful of their flower-freak exteriors, happy for the company of their compeers. Look this way and look that. Face the faces that favor you. It doesn’t really matter what you say, only that you’re hearing the other. 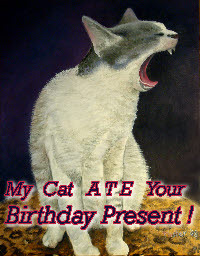 The cat cries for happiness and desire. The birds call because they’re born to sing. At the same time, talk is cheap—and priceless. Are my friends tangerine, magenta, cerulean, chartreuse? Are yours chimeras, sphinxes, nymphs, and sprites? In a scale-less Eden, blossoms quiver looming over glooming trees. Anything can talk to anyone, then turn around to talk the other way. Website: Learn more about Whimsical Artist Susan Medyn.